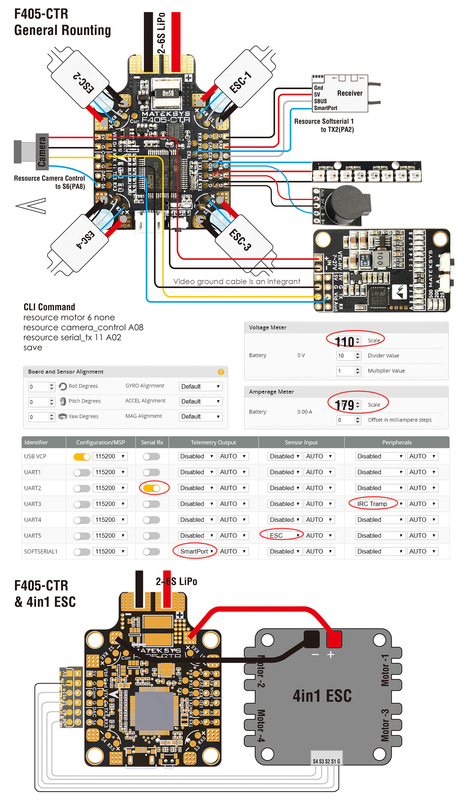 The F405-CTR is the new and improved version of Matek’s first all-in-one FC, the F405-AIO. On the face of it not a lot looks to have changed, but that’s because this board has been refined with subtle changes that add up to make a big difference. With the old AIO, some criticized the gyro (IMU20602) for being too sensitive, resulting in yaw twitches despites efforts to reduce noise by soft-mounting. The CTR now uses the MPU600 gyro, which is a proven option and favoured by many flight controller designers for its robustness against noise. A new welcome addition to the F405-CTR is the barometer, or baro (BMP280) - a sensor that can be used to estimate altitude. Coupled with a GPS module and running iNav, you’ll be able to access new flight modes and anonymous flying for quads and wings. The 7mm soft mounts used by the old AIO have been replaced by integrated silicone grommets, which allow the FC to be stacked lower by about 4mm, making for an even neater stack. 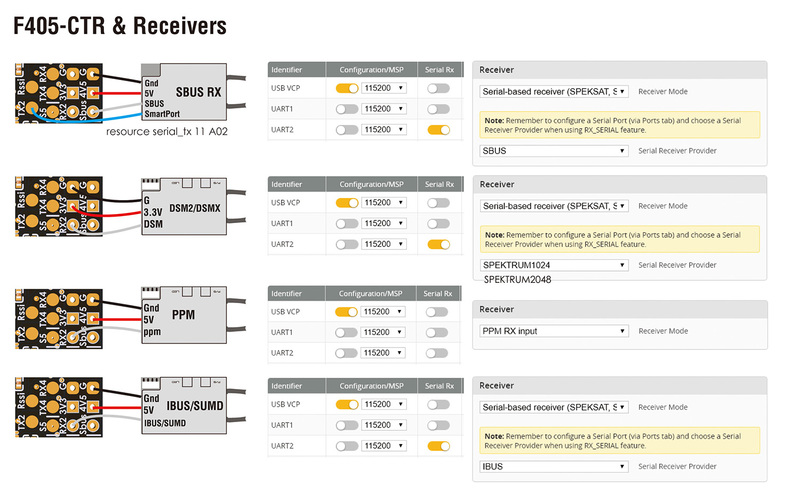 Other changes include, a more reliable 5V BEC, dedicated ESC RX5 pads for ESC telemetry, a DAC connection for FPV camera control, an extra UART port and I2C port for external sensors. 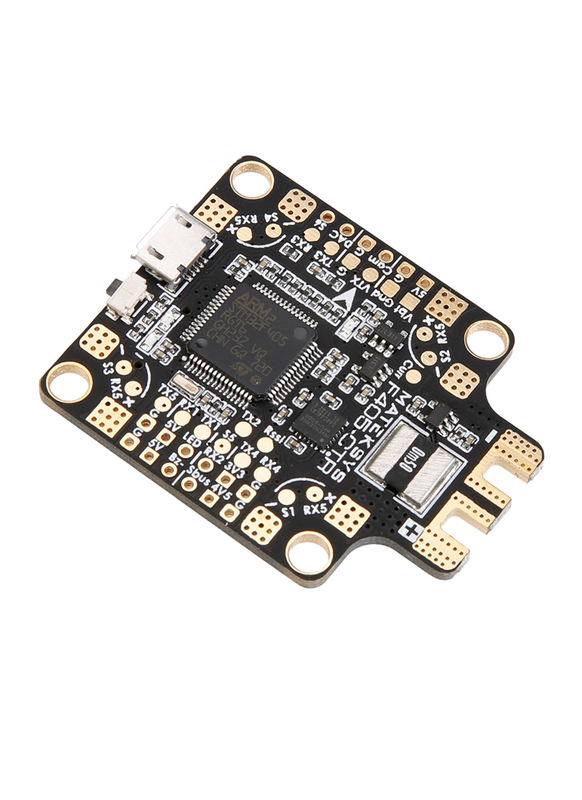 The CTR retains all of the great features of the original AIO, including, the same powerful F4 MCU, SD card slot for black box recording, BetaFlight OSD, current sensing, compact PDB and support for PWM, Oneshot, Multishot and Dshot. Note: Please always test the board first using usb connection as returns cannot be accepted once the FC as been soldered.